In an interview with Hindu Business Line, Mr Mehta strongly advocates the need to cater to the mass markets rather than the premium segment. M&S has long way to go in the market because people still do not know that they have slashed their prices in India. Marks & Spencer is attempting to reduce its prices and be perceived as a mid-market retail brand as it is in the UK. Therefore building economies of scale into its sourcing operations will hold the key to its pricing strategy. Considering apparel commands steep duties of nearly 38 per cent, the UK-based retailer has decided to bring down its sourcing from abroad and source up to 70 per cent of its apparel indigenously. To expedite this process, the retailer has already set up its new sourcing office in Bangalore which would make apparel specifically for sale in India. Going forward, 70 per cent of its merchandise will be sourced in India. Under current FDI rules, entry is restricted to wholesale, license or franchise arrangements. The newly formed joint venture with Reliance Retail is a change in M&S entry strategy from the franchise model of the past. The 51:49 partnership between M & S and Reliance is likely to open 50 new stores in the next five years in India. While apparel will be its mainstay, it will continue with the existing categories such as toiletries, food and add home-ware as a new category. 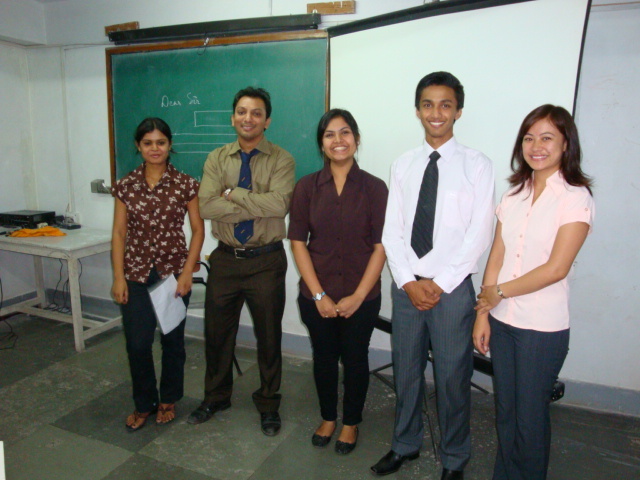 Our June 2010 Strategy batch at Tasmac reviewed and presented the M&S case a couple of weeks ago. Their special focus on M&S India was very enriching as one of the team members Darshan shared his observations based on his personal visit to the M&S store located at SGS Mall Pune. (a) “Food might not be a huge turning point for M&S but will it be well received due to brand recall”. Posted by dilipnaidu on August 5, 2010 in Case Studies and tagged Brand recall, India entry, International strategy, JV or franchising, JV Reliance, M&S India, Management. Oh yes sure but please note that this was discussed years ago as such some parts could be outdated. Is nice that you are showing interest in strategic aspects of the blog post. I read almost all d cases related to M&S in ur blog and gave my views,its really wonderful. Regarding this case i feel the co. is taking an extremely right step by j.v with Reliance as people will Trust it more being associated with an Indian co.People here may not be much influenced with their British image and high prices,so their decision of sourcing in India itself and slashing down prices is justified.As mentioned in one of the related cases it can target the youth here as well as our ambitious potential middle class.So.i think we should keep our fingers crossed and wait for the arrival of new face of M & S in jv with Reliance within next 5 years. It is really being a pleasure to have my comment as a quote on your blog. Thanks for giving me such a privilege. I thank you for your valuable contribution to this discussion. Most MNCs vie for capturing market shares in emerging countries like India. In my visit to the US I had the opportunity to interact with some of the young professionals in the University of Texas. Most of them were curious to on what are the different challenges specific to India. Maitreyee maam’s has provided some detailed and interesting insights on M&S and the gray areas in it’s entry strategy. As such we must give credit to M&S chairman, Sir Stuart Rose for declaring in 2008 that India and China will be key markets as the largest U.K. clothing retailer expands overseas. 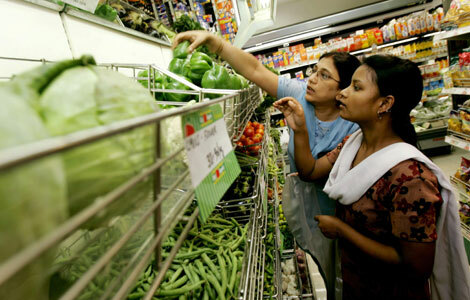 He also stated that India is “ideally suited to the M&S demographic” and China will be a “viable business” in the next five years. Most M&Cs entering country like India have to be prepared for a an exciting journey of learning and adapting. Deciding on the market segment of course is the key for success..
Its nice that Darshan above visited M&S in Pune to understand the spirit of Marks & Spencer. Thank you folks and wish you all the best. Firstly I would like to tell you that the M & S case study is excellent and has indicated several lessons which will help me in my future. As I had personally visited the M & S store which is located at the SGS mall in Pune and interviewed the store manager Mr Shantanu Chatterjee it had been a great experience and the information that he has shared with me regarding what things they do differently from the rest of the crowd is enriching. As they know that India is the future market for them they are keeping their price in moderate range. In a country like India it is necessary to target the middle segment customers as major population belongs to that category and M & S is doing that makes me feel they will be able to built a success story in India. Please forgive me sir as I am trying to write and if there are any mistakes please correct me as an when required. Your timing on the M&S case study is spot on. This is the time for India to welcome international brand names which will have a cascading effect on the entire commercial landscape. Indian brands will be impelled to leapfrog to the 21st century market realities and stop being complacent (especially in terms of back-end innovation and front-end customer service). Consumers will have wider choice leading to the evolution of overall buying behavior (higher levels of individualism and discernment). – Brand image: I get the impression that M&S India is attempting to limit itself to the ‘apparel’ segment and aiming for a fashion-dominant positioning. This is not what M&S is all about though. In fact, M&S is not a fashion store; but a department store selling everything from Chicken tikka to sofa sets and Christmas puddings to Champagne. As you have pointed out, the initial run of M$S in India was not very successful. This was also the case in the US and Canada (where it shut shop eventually) as well as in France. I feel M&S core positioning has three elements that make it difficult to ‘internationalize’ its blueprint easily. 1) Its department store positioning is rather diffused and confusing, which may have become woven into the British consumer tapestry over a period of more than a century but obviously cannot be replicated in new markets in the short term. 2) Being a traditional British brand which relied on its patriotic “Buy British” premise in earlier years, it finds itself on a weak turf in ‘neutral’ markets minus that specific emotional connection. 3) It does not seem to have a coherent and well thought out plan for international expansion. The fact that it entered and then left a number of key markets, gives a negative impression about the company’s understanding of foreign markets and preparation for handling their idiosyncrasies (a la Zara or Levi’s). I am not sure an overly price-focused mid-market strategy based on high turnover is the best way forward in India. This segment is severely competitive, which will continue to intensify. Where will it end? What will happen to the ‘quality’ proposition that is supposed to define a British brand? How much to customize to suit the so called “Indian taste”? It is also a fact that M&S has to take its globalization plans very seriously as it finds itself constrained in the saturated UK market and is increasingly looking at emerging markets like China and the Middle East to ramp up its profitability. Congratulations Dileep. You have chosen a very interesting and challenging topic which I am sure will give abundant food for thought to our young Managers. ( although agreeing to the fact that Indian affluent consumers can pay high prices for good quality products and brands). Also targeting niche market (premium segment) results in better focused strategy. I think gradually M&S will build such kind of market strategy as they get the experience of Indian retail market. First of all sir I must tell you that this is a fabulous case to study on, as the retail sector has a lot potential to grow towards apex even while we are in developing stage. As while going through this case, I realised that food is the best way M&S can bring their customer again and again in the store. This will increase the economies of scale for the firm. As being this industry works on repetitive value associating food with the brand of quality might be the way to win the hearts of consumers. Now if we talk about deviating the prices, then it completely depends on the company’s positioning strategy that how would they see them self in India. But still India is a market which is surely capable of paying a bit high prices if assured quality offered. The clear example of this is the series of Pantaloons’ retail outlets. And changing of ambiance is concerned then D Mart can be taken as an example as they cut down the cost by just keeping the state simple and effective. In addition to this they have positioned themselves as offering minimum 2% discount on the MRP, which brings in added value to the visit of the customer. So may be M&S can try these aspect and can easily sail through the battle of conquering Indian retail markets. Please forgive me sir if I have not been up to the mark, coz it’s just becoz I am trying to write. I hope you would not mind and correct my mistakes as and when required. I appreciate your views on M&S’s India strategy. However M&S attempted economies of scale through it’s global strategy of standardization of stores worldwide. Earlier even its sourcing was standardized. M&S India is compelled to deviate from its global strategy by differentiating to take-on the competitors. As you know several International brands now are competing. You are right the Indian customer is becoming brand conscious. And M&S low price strategy could hurt its image of being aspirational. Later to up it’s customer perceptions to International premium image may prove a challenge. Raheel great attempt and well done. Thank you. i want to know if M&S advertise themselves through hoardings or TVC. i am doing a project on the consumer behavior towards international brands in India. i have heard ZARA uses zero advertising strategy. i would like to know if M&S also follows the same? As M&S is a one of the premium UK Lifestyle Brand. In UK, yes, they do advertisements with Hollywood Superstars/ Celebs since 1950’s. But in India, they do advertisement only through premium lifestyle magazines; only once in a season to know their customers about their collection. They are never been into the advertisemnts of Hoardings & TVC. About Consumer Behavoiur of International Brands in India, its a very interesting project. Its differs from state to state and city to city. For Example: Mumbai is place of Hindi Cinema and Fashion, they are more concern about brands especially HNI (High Networth Individuals) and they have high disposable income. That is why, every High Class Brand has a first store in Mumbai & Delhi. High Class Brands also give advertisement in VOGUE INDIA MAGAZINE. Hope above statement will help you in your project. I have also done my project in Consumer Behaviour. Thank you for coming on my site. On my request Vedant who has plenty of retail ‘Hand on’ experience’ has shared his valuable insights related to your question. Yes M&S’s presence in large up-market malls and hypermarkets feels it reaches it’s target market. Spot on! In fact the ‘May I help you?’ line is now a cliché that may even irk the customer. You are right unless the sales person believes in his product his response can never be spontaneous. Practical tips have so much more value. Thank you & best regards. I have visited several stores / malls in India and Abroad and conclude that we in India lack selling skills suitable for the Indian Market. Especially the CSA. They ask the most stupid question when we enter a store,”May I help you?”. This is passe! why cant they start the conversation with something else?? I see a lot of sales men and CSA in stores more interested in talking to themselves rather than the customer. Also their product knowledge is very poor. You put a CSA who has never perhaps tried on a pair of jeans or hep t-shirt or eaten cheese to sell a them to a customer!! You must visit some of of the CSA at Dubai Duty Free or other Duty Free stores to get a good example. In India we need to sell emotions along with the product, be it a garment or staples. You are absolutely right that CSA’s are not giving proper training in India. I have also worked in various Premium Lifestyle Brands. I always talked to my customers like my friends. They also treated me the same. You never believe that due to my selling skills i got three job offers in store itself. Its all about the way you talk. I appreciate your observation towards retail staff. Its a fault of proper RETAIL TRAINING; they have to improve upon a lot. Infact price reduction is a good way towards winning strategy over the trap of semi and middle level customer in a bulk amount frm various segments.and also inovation in external showcase and appearence towards product visualization is also so important according to Competitor.